Execution Profile in Katalon studio. Execution Profile in Katalon studio v5.4 is a new feature. Katalon Team launch a new version of katalon studio with some great new feature and Execution profile is one of them. Execution Profile in katalon studio is the replacement of Global variables. There is no more the Global variable in Katalon Studio version 5.4 and maybe in upcoming versions also. We can create multiple profile there is no limits depends on requirements. How to use Execution profile in Katalon studio with the test case. If you are using version 5.4 you can see profile is the new feature in Test Explorer tab. Step 1: A default profile is there by default you can create the custom profile by right click on the profile and create a new test execution. 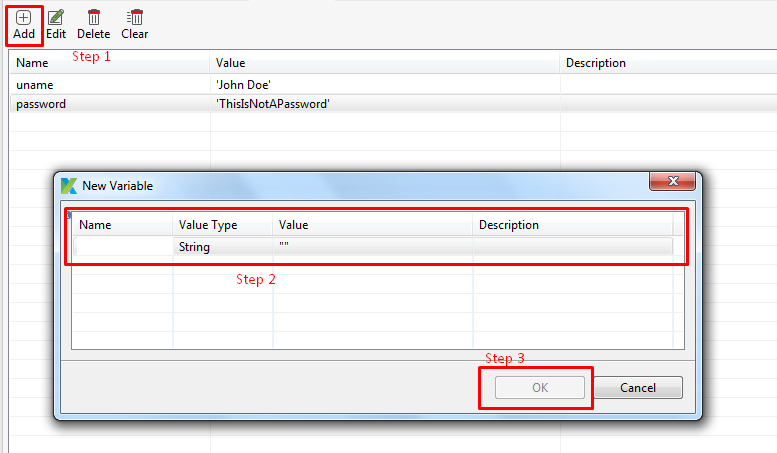 Step 2: Define values in the current profile. You can create multiple profiles with the same variable but here I am using the single profile with two name uname and password and values. Step 3: Use profile in your test case. Select profile from right top drop down and set the variable accordingly. Execution profile With Test Suite Collection: Select your profile to be executed with your Test Suite on ‘Profile’ column. Local and global variable in katalon Studio. I wonder if this could be because my test suites were created before this new feature was available?